Kamakura is only an hour from central Tokyo by train. With autumn colors available at temples close to Kita-Kamakura and Kamakura Stations, even a half-day trip to this picturesque city is enough! In most parts of Kamakura, the foliage is usually at its peak from late November to early December, so plan accordingly! In Genjiyama Park, the leaves start to turn slightly earlier than other places in Kamakura. The autumn colors span the entire mountain, making it a great place for a stroll. While illuminating autumn foliage at night is common in other places, such as Kyoto, Hasedera Temple is currently the only place that does it in Kamakura. The colorful leaves pop with profound beauty against the dark night sky. Hasedera Temple is worth a visit during the day, too; the temple complex sprawls along a hillside and has some great panoramic views. From the moment you step onto the Kakuonji Temple grounds, you will feel as though you've traveled back in time and arrived in medieval Kamakura. Boasting Kamakura’s most beautiful autumn foliage, this out-of-the-way spot is full of charm. The temple staff will offer you a thorough 50-minute tour of the grounds. On the grounds of Engakuji Temple, just a short walk from Kita-Kamakura Station, ancient buildings with thatched and tiled roofs stand among the forested hills. Here, the foliage of the temple grounds is magnificent. The temple entrance is surrounded by Japanese maple trees, and may be one of the most popular photo-ops of the Kamakura autumn. Known as the “Temple of the Hydrangeas,” Kita-Kamakura’s Meigetsu-in Temple is lovely in the autumn as well. 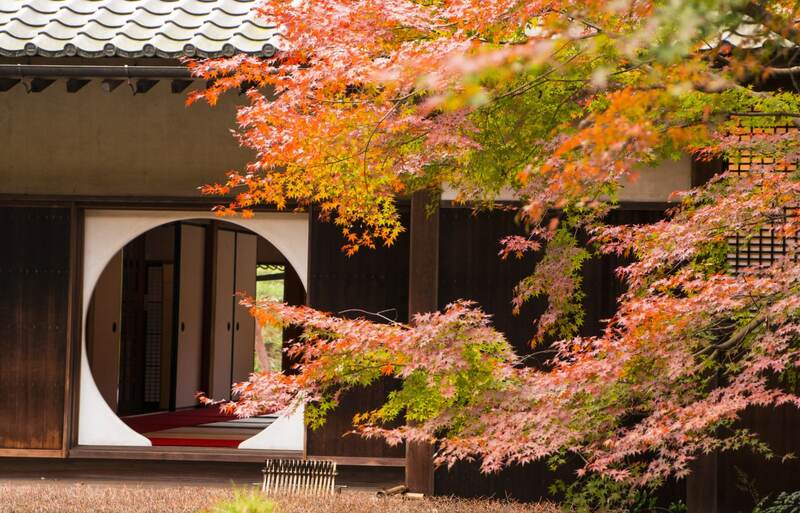 The main hall’s back garden that can't be seen most of the year is opened during the peak foliage season. 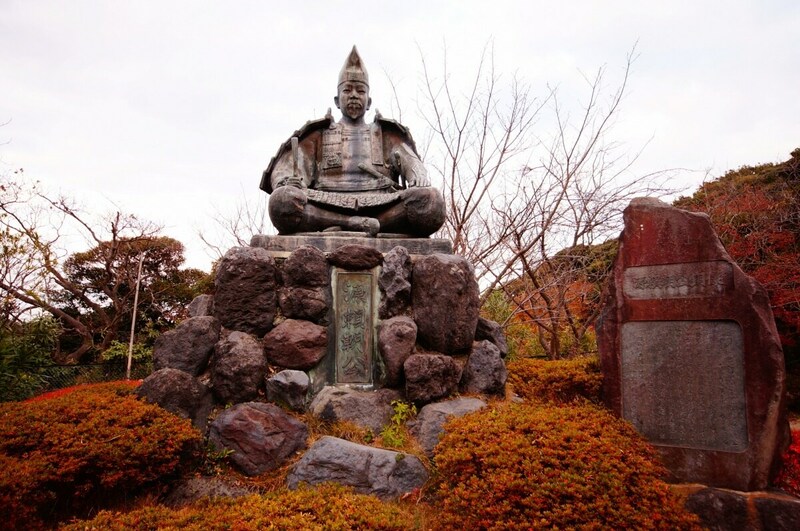 As one of Kamakura’s top five Zen temples, Kenchoji Temple spans quite a large area! The fall foliage is concentrated in the back of the temple complex, with the stone staircase leading to the mountainside Hansobo Temple a recommended viewing point. Kamakura-gu Shrine, one of the city's younger shrines, is dedicated to Prince Moriyoshi, who was instrumental in overthrowing the Kamakura Shogunate. The foliage paints a blazing gradation from red to yellow. Shishimai Valley is studded with peculiarly shaped rocks that imitate the form of a crouching lion. The red-tinted maple leaves paint the entire valley in red as if blanketing the sky above, and the golden carpet of fallen ginkgo leaves is simply dazzling. You can reach the Shishimai Valley via the Ten-en Hiking Trail. Zuisenji Temple is in Momijigayatsu (“Fall Foliage Valley”), and, as the name suggests, is known for the beautiful foliage woven throughout the mountains on the temple grounds and in the surrounding area. The foliage in “Kamakura’s back room,” so called for its location in the most remote part of Kamakura, is at its best in mid-December. Zuisenji Temple is the last place where you can see autumn leaves in Kamakura. The popular Ten-en Hiking Trail is also known as the Kamakura Alps. The trail has many spots with gorgeous views, and you can admire the mountain peaks tinted with autumn colors. The 3.8-kilometer (2.4-mile) trail, about a two-hour hike, runs from Zuisenji Temple in eastern Momijigayatsu to Kenchoji Temple in Kita-Kamakura.